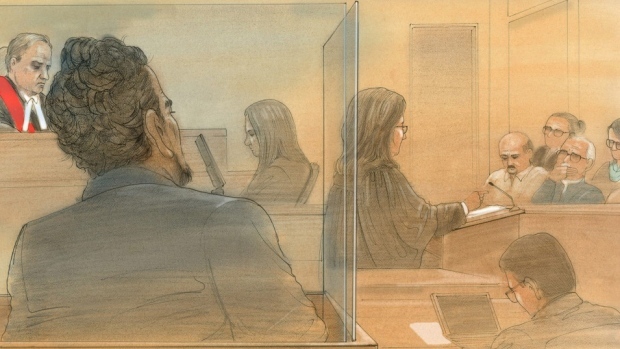 TORONTO -- The defence at a trial involving the death of a teenage girl whose body was found stuffed in a burning suitcase is urging jurors to accept forensic evidence that she drowned. Lawyer Jennifer Penman tells the Toronto jury there is no evidence as to how Melonie Biddersingh drowned. Given the uncertainty, Penman says jurors must acquit her father, Everton Biddersingh, 60, of first-degree murder. Court has heard from the stepmother and brother about the terrible abuse 17-year-old Biddersingh endured before her death. Penman says convicting her father on the basis of what she termed their self-serving testimony would be dangerous. The defence called no witnesses and Biddersingh didn't take the stand in his own defence. He has pleaded not guilty in the death of his daughter, whose charred body was found 21 years ago. It would be almost two decades before police were able to lay charges. The Crown argues the teen died Sept. 1, 1994, essentially starved to death. The trial has previously heard that the teen was confined for hours in a tiny closet, had her head placed in a toilet that was flushed, was chained to the furniture at times, was denied food and was kicked, punched and thrown against walls by her father. After she died, the Crown has said, Biddersingh crammed his daughter into a suitcase, drove her to a remote area and set her on fire. "The tragedy of this young woman's death may easily overwhelm our imaginations," Penman said in her closing argument. "A lot of terrible things went on in that apartment." Penman said her weakened state might have been a factor in her death. "That is not the same thing as saying starvation was the cause of death," the lawyer said. Biddersingh's wife, Elaine, whom the defence said "hated" the teen, faces her own murder trial in April.